LEGAZPI CITY (Feb 1) – Presidential Adviser for Political Affairs Sec. 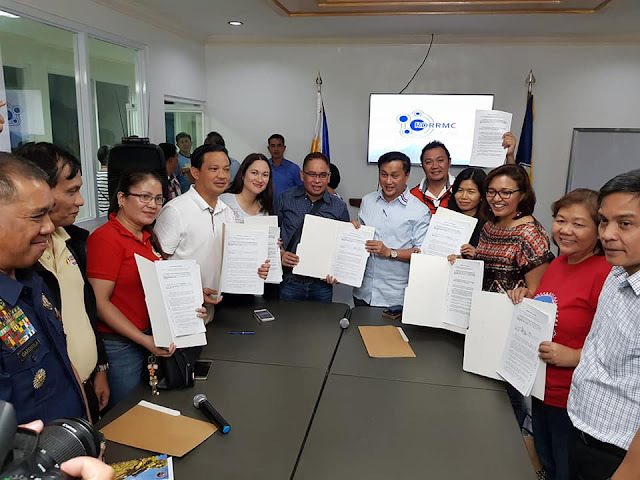 Francis Tolentino witness the formal signing of Memorandum of Agreement Wednesday, January 31, 2018 between the Department of Social Welfare and Development Regional Office 5 headed by Regional Dir. Arnel Garcia and the Chief Executivies of the cities and municipalities affected by the Mayon Volcano eruption for the implementation of the Cash-for-Work program as part of the Disaster Risk Reductiono and Management projects and activities of DSWD. Earlier in an exclusive interview with DZGB News, Dir. Garcia said that a total amount of P60 million pesos is allocated for the said program to benefit 20,000 families. A salary of P290 per day will be received by each displaced worker for 10-working days.